Are you surprised by our headline? Don’t be. Selling to the government is like doing business with a foreign country. It has its own culture, language and customs and it’s truly unlike doing business in the commercial world. Our industry is so full of terms and nuances that are hard for many of us to define to a layperson, which is why we’re kicking off a monthly “What is…” blog series to help alleviate some of the head scratching. So let’s get started. Filed under Contracting, Market Intelligence, Sales, What is...? Tagged with Commerce Business Daily, Data Universal Numbering System, Federal Acquisition Regulation, Fundamentals of Selling IT to the Federal Government, Government Contracting, Procurement, Small Business Administration, System for Award Management, What is...? Can SBA’s New CIO Modernize the Small Agency? 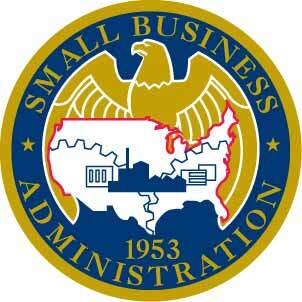 Maria Roat has left her position as chief technology officer of the Department of Transportation (DOT) to assume a new role as chief information officer at the Small Business Administration (SBA), replacing Renee Macklin. If we look at her work at DOT, we may get a sense for how SBA’s IT shop will evolve under Roat’s leadership. For the last two years, she’s been responsible for issuing policy, planning milestones, and assessing the DOT’s IT framework, as well as establishing the IT Shared Services group within DOT’s Office of the CIO. She had also helped create the DOT Common Operating Environment, which is the cornerstone of DOT’s shared services. It’s comprised of the cloud IT infrastructure platform for non-FAA administrators.